Historic windows belong as much to the 21st century as they did in the Victorian and Georgian times. The popularity of these types of windows is not just with listed buildings but they are also found in modern homes. 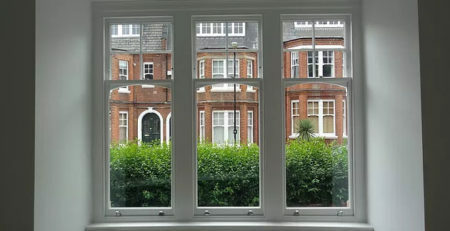 Here are some of the reasons why people prefer sash windows in the London area. Mortice and Green for Sash Windows London! Sashes have become extremely popular in newer buildings, cottages, palaces, and many listed buildings in the UK. These types of windows have been around for centuries due to their excellent qualities. You can easily adjust the opening of the window as well as the top or the bottom part. This creates excellent ventilation without letting any rain get blown into the room. A sash is more durable than French window as it is less vulnerable against the British weather. This is because the sash is hung from each side of its corners and is less likely to distort under pressure or weight. Sash windows cannot be replicated by modern casement frames as they have a touch of elegance and history. The materials used in sashes are handled by master craftsmen and it is only these types of frames that can last for many years. Nowadays, the materials used for renovating these sashes are of high quality and many contain original features such as wood components that are re-used. The skilled joiners still enjoy the creative process of restoring the entire window whenever necessary. If you are an owner of a period property, you will appreciate the special character that these sashes offer, possessing all the grace and charm of the 19th century. If you are looking for a character property, the best thing to do is find a professional window installation company that offers these types of frames. You can benefit from all that modern windows have to offer minus the draught and noise. You can even opt for double glazing sashes that keep the cold and noise out. Most people nowadays want modern looking traditional window frames as they are energy efficient. However, PVC does not look as appealing as timber sashes so if you have to make the choice between the two, opt for sash windows that are authentic and reduce carbon footprint at the same time. As UK receives a lot of rainfall throughout the year, sashes are the best bets for this type of climate as they open vertically rather than horizontally. This in turn, prevents water penetration through the window and only allows fresh air to enter. The sash opening is such that it offers excellent ventilation and is ideal for when the temperatures go up. As cooler air passes from under the panes, hotter air goes out at the same time. Clean the glass and frames often. This is very important as sashes must be washed on a regular basis. It will help keep all the parts dirt free. If you are unable to reach the window, ask a professional window cleaning company to do this task for you. When painting the window sashes, make sure you use high quality paint. As a general rule, you should paint the frames every 4 to 8 years depending on the climate conditions. You can install a cord on your historic window in order to be able to open and shut it easily. Keep in mind that you must ensure the cord works properly as you open and close the window. If it requires replacement, always ask a professional company to do the task for you. There are many window specialists in London that will repair your sashes. Look for these companies online and read the customer reviews first before choosing the best one for your needs.